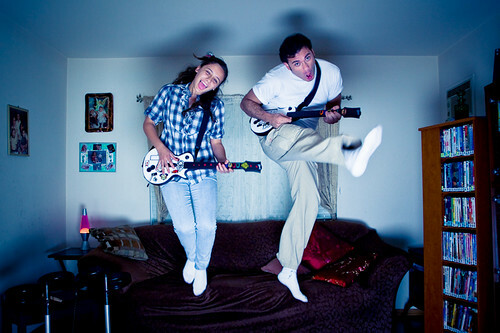 Had a session over the weekend where the family loved to play "Rock Band" together. So I figured I'd make it look like they were playing it in their living room. This is one of the outtakes from the session. Man was this fun!! !